Now booking to November 2018! The West End production of Motown the Musical, the Tony Award nominated Broadway hit, is at the Shaftesbury theatre bringing over 50 Motown hits performed live on stage for Motown Theatre Breaks. This explosive new musical follows the unlikely success story of Detroit born Berry Gordy who dropped out of high school early with a desire to get rich quick as a boxer. After that failed he enlisted in the US army to fight in Korea and upon leaving the military became involved in the local Detroit music scene which at that time was predominantly jazz. Special offers for Motown the Musical Theatre Breaks are available with breaks starting at under £99 per person with three star accommodation. Special offers for Motown Theatre Breaks are available on breaks including tickets for performances on midweek nights and matinees. Book breaks with tickets on a performance between Monday and Thursday and save up to £25 per person. After a meeting with singer Jackie Wilson, who released “Reet Petite” in 1957 which was co-written by Gordy & his sister Gwen, he borrowed $800 from his family to set up, what has now become the legendary record label, Tamla Motown. The list of artists signed to the label reads as a Who’s Who in the American entertainment industry with acts such as The Miracles, Mary Wells, Smokey Robinson, The Supremes, Marvin Gaye and Michael Jackson. Motown Theatre Breaks feature an incredible selection of Motown’s biggest hits including Dancing In The Street, Ain’t No Mountain High Enough, and I Heard It Through The Grapevine. 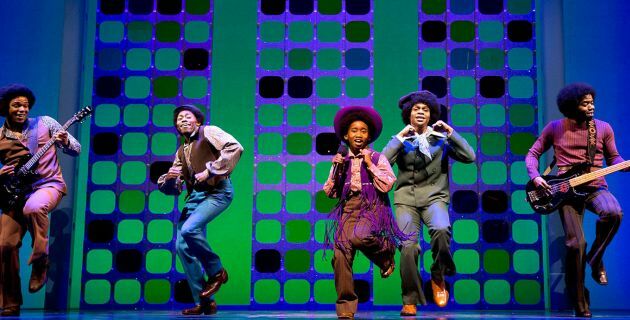 Motown The Musical is simply not to be missed! Where can I see Motown? When can I see Motown Theatre Breaks?